Heya guys! Hope you are all well. I'm absolutely exhausted at the moment. Even though I'm still waiting for my Thomas Cook job to start there is so much preparation it is ridiculous. I'm running here there and everywhere to get stuff done and I've only got a month and 3 days to go! Scary. Like I've mentioned before I will eventually do a post at some point because it is going to affect my blogging for most of this year. But we aren't there yet, I still have a number of posts coming up on my blog in the next month. Let's get cracking with this one though. I have been on quite a nail polish spree lately. There are just so many pretty pastel colours around at the moment that I just haven't been able to resist including this absolutely beautiful gift set from Essie called Twinkle-Belle. I first saw Lily Pebbles tweet a photo about it and urging people to purchase it but I was never able to find it in stores until I walked into Superdrug the other day. It happened to be the last one on the counter too. It contains two polishes. Mint Candy Apple and Sparkle On Top. Mint Candy Apple is a gorgeous mint pastel green colour that was a massive hit for Essie throughout 2013. It's just so gorgeous on the nails for the spring season and is a colour that will suit absolutely everyone. Sparkle On Top is a gorgeous frost like top coat that compliments Mint Candy Apple extremely well. The formular contains hints of mint green glitter as well as other coloured glitter particles making it not only perfect for complimenting Mint Candy Apple but will look amazing on it's own as the glitter will just sparkle brilliantly when it catches the light or paired with any other bright or pastel nail polish. This is the only Essie polish I've ever owned. I bought Mint Candy Apple last year and I find that you need at least two to three coats of this nail polish as I find it's extremely streaky when you first apply it, however it dries really quickly and doesn't chip that easily either. For Sparkle On Top I find that you get a really good amount of glitter on the first coat however it's up to you how much or how little glitter you want on top. Now Essie polishes are quite pricey on their own retailing at £7.99 each. It's definitely not a brand I will be looking into a lot however you can buy this little duo for only £12.99 which will save you a couple of pounds. Definitely worth investing in if you're looking for a staple nail colour this Spring. You can purchase this gorgeous set on the Boots website HERE, however every time I've headed over to the website it has been out of stock which just proves how popular it is! Definitely head down to your local Superdrug/Boots as they may have it stocked on a counter there. 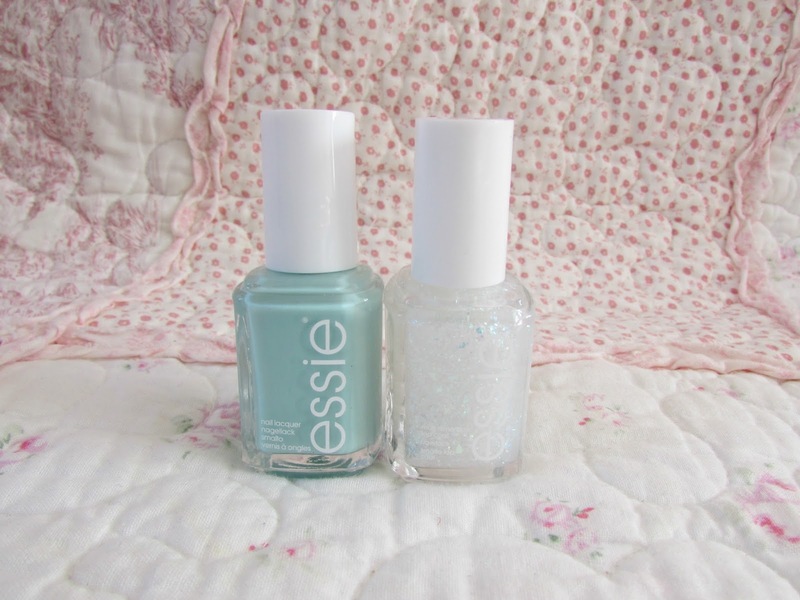 Do you agree with the hype surrounding Essie's Mint Candy Apple? Do you think they are good value for money? I need to try the mint candy apple shade, it is perfect for Spring!